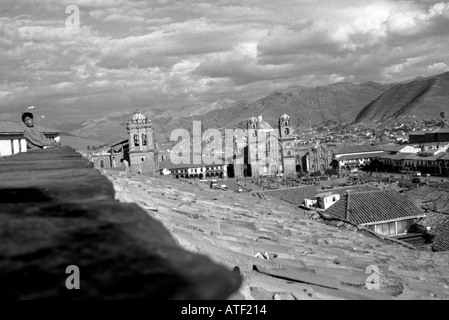 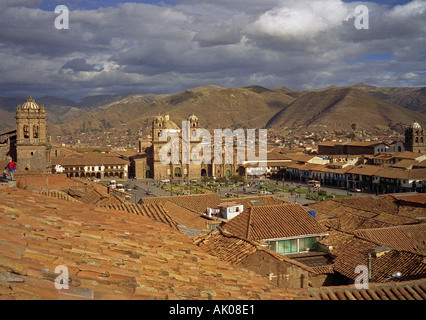 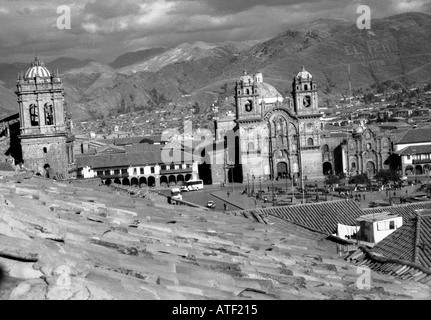 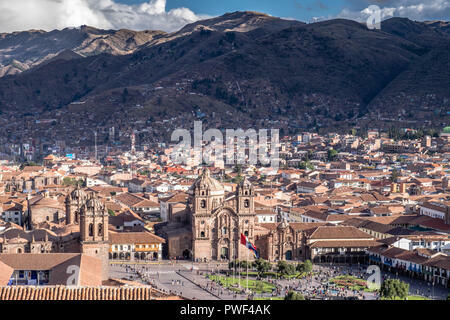 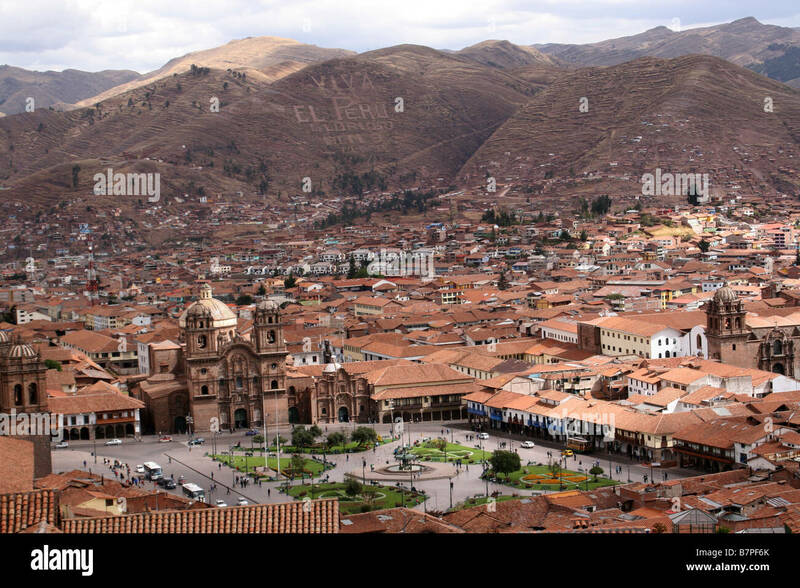 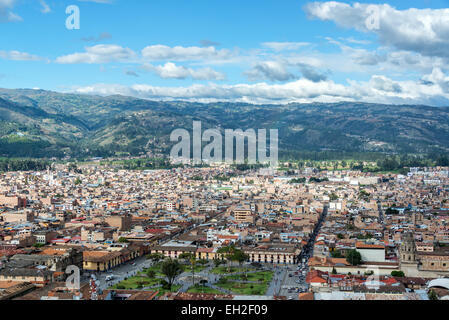 A view over Plaza de Armas, the historic centre of Cusco, and surrounding mountains covered in inscriptions, Peru. 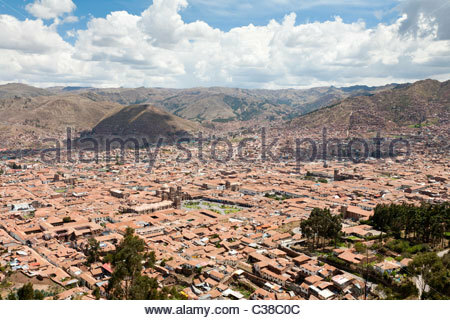 Cusco, Peru. 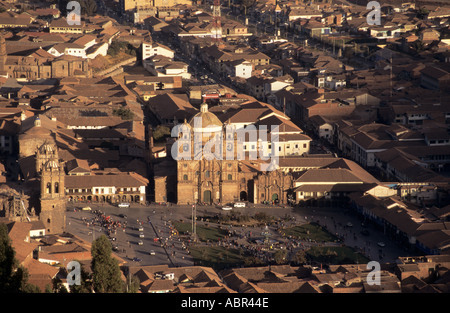 View of the Plaza de Armas including La Compania church and the University entrance. 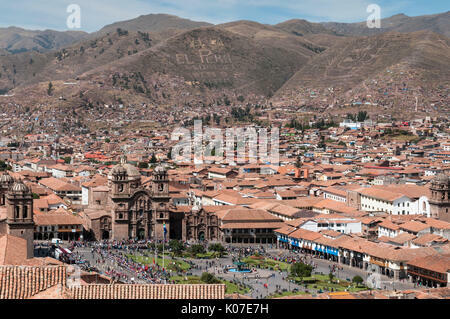 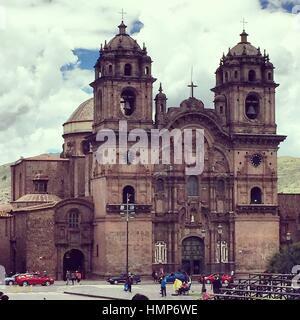 Front view at the La Compania de Jesus Church at Plaza de Armas in Cusco, Peru.